The year 2019 is going to be a landmark phase in Indian basketball scenario considering the amount of domestic tournaments, involvement of NBA and the exposure Indian players are getting abroad. Many major domestic tournaments will be conducted this year to find new talents of the game. NBA has renewed their interest in Indian basketball in order to uplift the love for the game and to find new talents from the pool of players the country has to offer. Many Indian players are starting to get recognized in foreign basketball leagues- a good sign for Indian basketball. Let’s look at some the major prospects of Indian basketball in 2019. Senior National Basketball championship: This year’s senior national basketball championship marked the 69th edition of this annual basketball tournament. Punjab men and Railways women won this year’s title of the men and women category respectively. The tournament saw many talented players ready to play at the highest level. Rise of Satnam Singh: The big Punjabi player becomes the first Indian player to be drafted by the NBA. He played in the G-league for over two years and has started a new chapter in his career by joining NBL in Canada.He was signed by St John’s Edge in NBL and is set to mark his presence felt in the Canadian league soon. 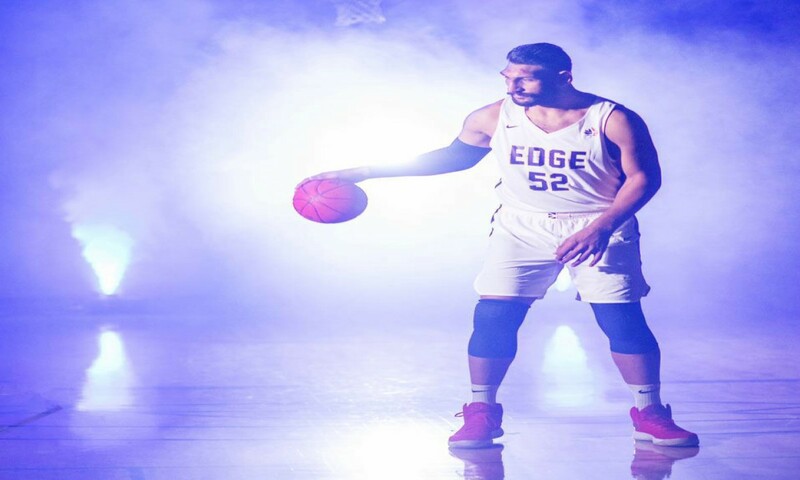 Amjyot Singh’s successful campaign in the G League: Another Punjabi player who is getting popular in world stage, Amjyot Singh is getting more game time in NBA’s G league. Amjyot is currently playing for OKC Blue, and has become a trusted team member within the second season with the team. Indian Captain Jeena PS joins Australian team Ringwood Lady Hawks: One of the most popular basketball player in the country currently, Indian women’s team captain Jeena PS signs for Australian basketball team Lady Hawks recently. Jeena’s performance was noted by Hawks team management when the Australian team toured India back in 2017. The signing of Jeena is expected to be a motivation for many aspirant women basketball players to pursue the game professionally. Domestic Junior level events to find out next superstars: Many junior level basketball tournaments are on the pipeline to find out young talents of the game. Basketball Federation of India will be conducting sub junior, junior and youth level nationals following the senior nationals this year which will bring U14, U16 and U18 talents from across the country to play for their future. More NBA players to visit India: Last year many NBA stars visted India in order to participate in NBA events and to promote basketball in India. Brook Lopez, Robert Horry, Tim Hardaway have already visited India. Rashard Lewis, an NBA champion has confirmed his visit to India this year for the promotion and assessment of basketball in the country. Second season of 3x3 basketball league: After the successful first season of 3x3 professional basketball league-the 3BL which was approved by FIBA , the second season of 3BL is all set to resume this year. The faster and shorter version of basketball is expected to bring in more crowd. The league will be held in six legs across six different cities in India. This year more national and international players will be part of the 3BL and will continue to link up with FIBA 3x3 Masters World Tour. India’s junior team to participate in Jr NBA world championships: Top teams from India will be chosen through this year’s Jr NBA championships which will be held in city and national level over the summer. The best boys and girls teams selected through the championship will represent the country in US for the world championships. Grassroots level initiatives: Many grassroots level initiatives for the growth of basketball in the country is being planned and implemented by different government and private bodies. However, patience and persisitence is the key to receive success from such initiaves. NBA’s Reliance Foundation Jr NBA program is making giant strides in this regard. The project is reaching out to millions of aspiring school children to hone their basketball skills and to impart knowledge and enthusiasm about the game in general. NBA India Games: NBA will host a historic first ever pre season games in India on October 4-5. Indiana Pacers and Sacramento Kings –top teams of NBA will play their pre season matches in Mumbai. Arrival of top flight NBA teams on Indian soil surely will boost the interest in basketball among Indian youth.